Her Majesty's Royal Palace and Fortress, more commonly known as the Tower of London, is a historic castle on the north bank of the River Thames in central London It was founded towards the end of 1066 as part of the Norman Conquest of England. The White Tower, which gives the entire castle its name, was built by William the Conqueror in 1078, and was a resented symbol of oppression, inflicted upon London by the new ruling elite. The Tower of London has played a prominent role in English history. It was besieged several times and controlling it has been important to controlling the country. • The White Tower: The White Tower is one of the most important historic buildings in the world. An iconic symbol of London and Britain, it is currently housing 'Power House', a fascinating exhibition about the national institutions founded at the Tower of London. • Crown Jewels: Be dazzled by the 23,578 gems that make up the Crown Jewels, including the world’s most famous diamonds. You'll find this amazing collection in the Jewel House. 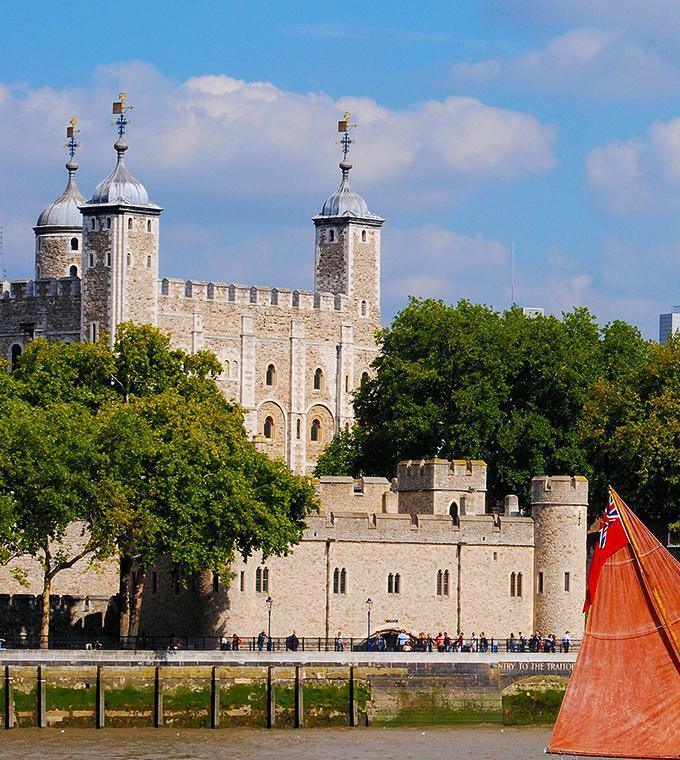 • Yeoman Warder tours: Join a Yeoman Warder tour (included in your admission ticket) and you'll be entertained by tales from the Tower; pain and passion, treachery and torture, all delivered with a swagger and a smile! Family tickets: You don´t have to take 3 children with you, the offer is valid up to 3 children. The age of the children: 5-15y. Tuesday – Saturday 9 a.m. – 5.30 p.m.
Sunday – Monday 10 a.m. – 5.30 p.m.
Tuesday – Saturday 9 a.m. – 4.30 p.m.
Sunday – Monday 10. a.m. – 4.30 p.m. The Tower is closed 24-26 December (inclusive), 1 and 19 January.